It is one of the modern world’s biggest mysteries—99 percent of the plastics that enter the ocean are missing. Codfish eat everything. “Everyone here has a story about the Barbie doll they found in a cod,” quips Max Liboiron, referring to St. John’s, Newfoundland and Labrador, her home. So the geography professor at Memorial University in St. John’s thought she knew what to expect in 2015 when she conducted the first study on plastic ingestion among cod in Newfoundland’s inshore waters. The results surprised her; in contradiction of the local lore, the data showed one of the lowest rates of plastic ingestion by fish in the world. Liboiron did have a hunch as to why: the plastics that might have tempted the undiscerning cod were getting whisked away by the ocean, ending up on foreign shores instead of in the local fish’s stomachs. Liboiron had recently wrapped up a PhD project at New York University that explored plastic pollution in the wild. Its permanence, extraordinary mobility, and the way it connects the globe, making one nation’s trash another’s burden, is a “wicked problem,” she says. She had also recently heard about a beachcomber named Martin Gray, who was plucking plastic fishery tags, ropes, and buoys from Canada off the beach an ocean away, near his house on Scotland’s Orkney Islands. 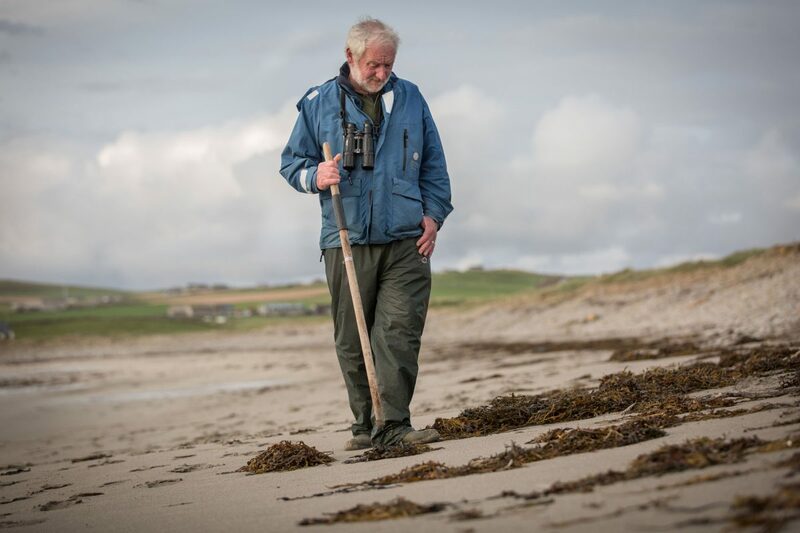 Gray has spent so much time patrolling Orkney beaches and collecting washed-up junk—much of it plastics originating from the east coast of North America—that he has become a de facto authority on beach debris. In 2016, he appeared on a radio segment that aired in Newfoundland to discuss plastic shotgun shells that have been rolling ashore in the Orkneys since the 1990s. At first, Gray’s neighbors feared a wildlife poacher was on the loose, but that type of ammunition wasn’t sold in the United Kingdom, adding to the mystery. It took the London Metropolitan Police, the Federal Bureau of Investigation, and the Royal Canadian Mounted Police to figure out that the shells had been discharged by Newfoundland seabird hunters 3,500 kilometers away. After hearing the segment, and intrigued by the evidence that North American plastics were making a transatlantic journey, Liboiron reached out to Gray. 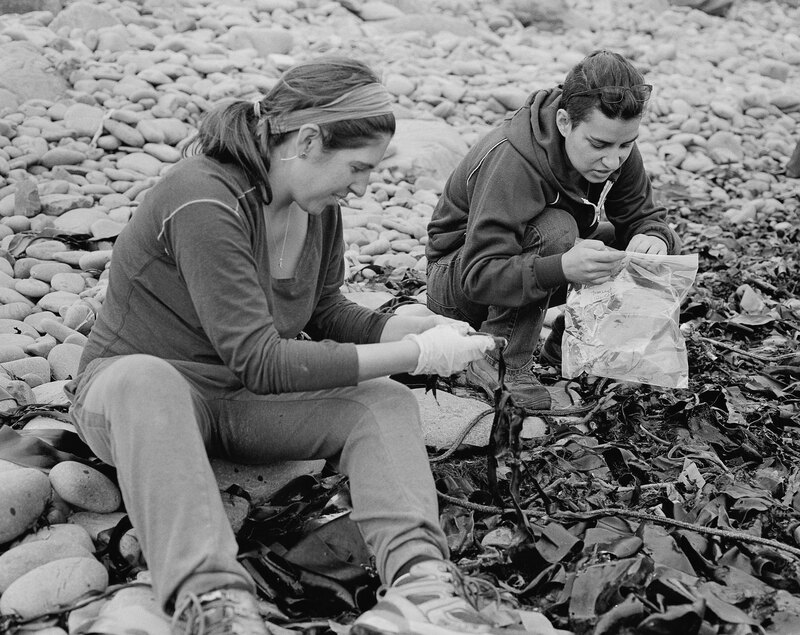 Together, they launched an extensive citizen science project designed to track plastics in the wild. Their data points are plastic fishery tags, primarily from Eastern Canada. Gray has been finding them around his home since the late 1980s. Most are stamped with the fishing area the tag was used in and year of origin—tailor-made for a second life in marine plastics tracking. Beachcombers from northern Norway all the way down to the Bahamas now scour their shores for the tags and feed Gray data. He tidies it up to Liboiron’s specifications and passes it on. “We’re turning this into a project to articulate North America with Europe,” says Liboiron. Once she has collected and crunched enough data, the results will illuminate how plastics travel between the two coasts and how long the journey takes. Along with climate change, plastics in the ocean is among the most buzzed about slow-motion environmental disasters. Yet what scientists know about how plastics move through the ocean is dwarfed by what they don’t know. Tracking a few hundred fishery tags across the Atlantic may not, on the surface, appear to make much difference in the face of a massive global problem, but Gray and Liboiron have company in their efforts. In the past few years, a host of ambitious projects with similar aims have popped up around the world. They range from small-scale citizen science efforts, like Liboiron’s, to major international collaborations, like a plan by the European Space Agency to trace surface plastics by satellite. They’re all aimed at the same problem: figuring out how the millions of tonnes of plastic pollution that enter the oceans each year traverse Earth’s immense aquatic wilderness—and where it all ends up. That information will satisfy more than scientific curiosity—it’s vital to enacting change. By understanding the origins and final resting places of plastics, the international community may be able to crack down on plastic pollution with the force of law. We do know, very roughly, how much plastic enters oceans annually: 4.8 to 12.7 million tonnes, an estimate that comes from University of Georgia researcher Jenna Jambeck. She came up with the range by comparing waste production in 192 countries with the efficiency of those countries’ waste management systems. Once plastic is in the ocean—after spewing out of effluent pipes, washing off beaches and coasts, or lazily drifting out to sea via watersheds—it quickly becomes impossible to track with certainty. What we can see and sample on the surface, much of it drifting in the five oceanic garbage patches, is estimated at just a few hundred thousand tonnes. The rest, as van Sebille says, is a mystery. Last December, more than 200 countries met at the United Nations Environment Assembly in Nairobi, Kenya, and agreed to a resolution to stop plastics from entering the seas. It was voluntary, with no firm commitments or timelines. But delegates nonetheless came out with optimism that tougher rules are within reach—envisioning something like what the Paris Agreement was supposed to accomplish for climate change but for ocean plastics. Signatories to the Paris Agreement have to regularly report their greenhouse-gas emissions, while also checking up on each other. If countries could better track plastics, they would be more accountable to the international community and a binding convention could have bite. But first, scientists need a far better understanding of how the 1.34 billion cubic kilometers of water in the ocean moves. “It may be difficult to believe, but we really don’t know currents,” says Nikolai Maximenko, a senior researcher at Hawai‘i’s International Pacific Research Center. Along with van Sebille and two others, Maximenko is a cochair of the Floating Litter and its Oceanic TranSport Analysis and Modelling (or FLOTSAM) working group, an international group of ocean researchers working to plug the holes in our knowledge of surface currents and how they push debris around the oceans. Scientists do have a reasonably good handle on the bigger, superstar currents like the Gulf Stream, which is around 100 kilometers wide and identifiable from space. It’s the smaller currents and the vertical motion of water that make them scratch their heads. Things get even more complicated when tracking actual objects, since debris doesn’t move the same way as water. Objects of differing size, buoyancy, and weight are affected differently by wind, waves, and sun. So forecasting where a bottle cap from point A will find its point B across the vastness of the ocean’s surface is a guessing game. And Maximenko is one of the world’s more accomplished guessers. In March 2011, the Tōhoku tsunami dragged homes, boats, wharves, and far more into the Pacific—millions of tonnes of debris overall. The devastation in Japan was profound, but Maximenko and a colleague at the University of Hawai‘i, Jan Hafner, saw a chance to make some good of it. Most of the marine debris sank, but an estimated 1.5 million tonnes floated away. That massive amount of debris with a clear-cut point of entry gave them a chance to test and refine ocean-drift models in the real world. They focused on 1,000 Japanese boats swept out to sea; factoring in such variables as surface current and wind force, the researchers plotted out likely paths and timelines for the boats’ trips across the Pacific. The challenge was that the accuracy of the models could only be confirmed with visual sightings, leaving a lot of knowledge gaps. In the years following the tsunami, Maximenko and Hafner saw some confirmation of their predictions, with the boats being spotted by ships or washing ashore roughly when and where they had anticipated. Yet the wrecks become more difficult to find and differentiate from other flotsam as time passes. And while sightings can validate the models, they “don’t tell us as much about what’s happening in the vastness of the open ocean,” says Maximenko. So he and his colleagues have turned to remote sensing—using images from satellites, airplanes, and drones to observe huge swaths of the ocean surface at once. The technology is intended to provide a big picture look at surface drift, allowing researchers to note where material is concentrated and how it shifts over time. The technology is still in its infancy—even big objects, like the remains of Malaysia Airlines flight 370, are often lost to satellites. But Maximenko points to the promise of “hyperspectral” imagery, also captured from air and space, which can depict wavelengths of light beyond the visible range. Plastics have a different spectral signature than seawater. “So even if we don’t resolve the object [in an image], we can see the signal, even from far above,” he explains. The technology is unlikely to replace direct observations and surface sampling entirely, since those techniques are necessary for validating results and calibrating sensors, says Maximenko. Plus, plastic can be difficult to differentiate from ocean life in the imagery. But hyperspectral imagery will provide a macro view of what’s happening across the planet, providing context that eludes researchers relying solely on data cobbled together from boaters and beachgoers. The European Space Agency this year launched a study to troubleshoot the technology in preparation for a bigger rollout. Several FLOTSAM members are involved. Project lead Paolo Corradi says that if successful, it could result in a map of plastic contamination in the oceans, providing clearer and more complete data for policymakers, with clues about major input points off the land, hotspots, and plastic pollution’s movement across the surface of the sea. As Maximenko and his colleagues focus their efforts on the open ocean, a British project called the Plastic Tide deploys drones to document plastics on the shore. Founded by Peter Kohler, a GIS expert based in Suffolk, England, who was astonished by the debris he encountered on a South Pacific sailing trip, and his two partners, the charitable effort aims to use drone photography to document beaches and coastlines and to build a database of high-resolution images and litter heat maps. 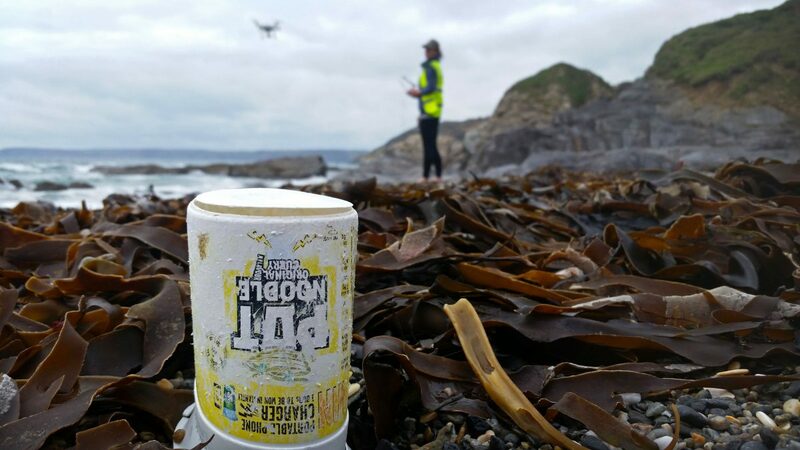 More than 15,000 volunteers have analyzed over 31,000 images of UK, Australian, and US beaches while also training machine-learning software to recognize plastic. One of Kohler’s goals is to gather baseline data on the amount of plastic on specific stretches of coast for a government or private company interested in taking action to remedy the problem and then update the imagery regularly to see how the plastic concentration changes. A region could ban plastic bottles, for example, and use his program to monitor the impact. Or analysts could compare images before and after an offshore storm, to learn how to predict plastic accumulation from future storms. Van Sebille, an adviser on the project, sees additional possibility: he believes the data will help with an ambitious new project he recently launched called Tracking Of Plastic In Our Seas, or TOPIOS. A five-year collaboration of European researchers that began in 2017, TOPIOS aims to create a 3D model of ocean dynamics, showing how plastic waste moves—vertically, horizontally, and every other way—through the world’s oceans. Researchers are collecting all the information they possibly can, from previously published data on plastic pollution to new data from projects like the Plastic Tide, and combining it with new wave-tank experiments to construct the model. “It’s basically a giant math problem,” says van Sebille. The researchers will use algebraic equations and advanced statistics to better understand the complex ocean system. It’s a similar approach to how weather forecasters foresee tomorrow’s weather by analyzing a massive array of variables and spitting out a prediction—with varying degrees of accuracy. Van Sebille acknowledges that the project is “extremely blue sky.” Yet if scientists can come to a better understanding of the ocean’s complexities and learn how to track debris, they’ll be able to help target cleanup efforts and may finally stem the plastic tide. Van Sebille hopes his team’s results will be ready for the United Nations Environment Assembly in 2021, where it could spur a robust international discussion and an eventual plan to deal with plastics. That plan would likely take the form of an international convention. Whether such a convention would actually be enforceable—or fair to every member of the global community—is another matter. Nils Simon, a political scientist with Berlin-based think tank Adelphi, points out that developing nations, with less sophisticated waste management systems, tend to be the worst polluters. He believes a convention should focus more on building waste management capacity in the developing world than penalizing offenders. Projects like TOPIOS, however, are key to building global support, in part by drawing those lines between nations and coastlines and potentially pointing fingers. “It could help force countries to the negotiation table, to admit there’s a problem, and that they’re responsible to find a common solution,” he says. No doubt, the world’s “wicked problem,” to quote Liboiron, is daunting. The baffling complexity of the oceans, the persistence and volume of plastics already there, and the millions of tonnes added each year can make all the hyperspectral imagery and mathematical models in the world look a bit quixotic. To say nothing of a couple hundred beachcombers picking up fishery tags. The efforts underway today are ambitious, experimental attempts to resolve a pressing global problem—they’re acts of faith in the way that ambitious science so often is. Faith that through our own ingenuity and intelligence, we’ll manage to intentionally fix a disaster we created unwittingly and have just begun to comprehend. 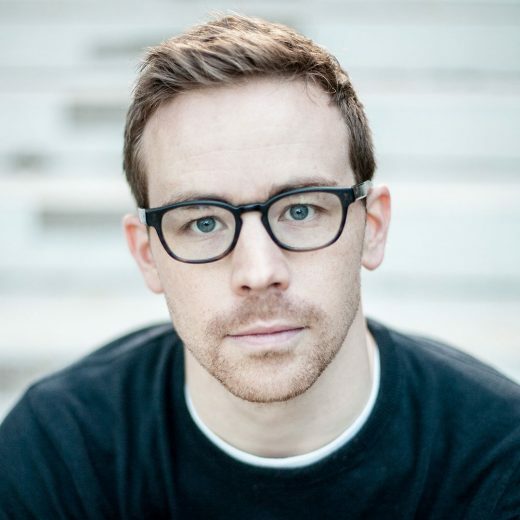 Matthew Halliday is a writer and editor in Halifax, Nova Scotia. He’s written for the Globe and Mail, Hazlitt, The Walrus, Chatelaine, and more, and is the cofounder and executive editor of The Deep, a digital magazine dedicated to long-form, narrative journalism in Atlantic Canada. Cite this Article: Matthew Halliday “The Riddle of the Roaming Plastics,” Hakai Magazine, Dec 4, 2018, accessed April 23rd, 2019, https://www.hakaimagazine.com/features/the-riddle-of-roaming-plastics/. Plastic marine debris is one of the world’s newest ecosystems, and scientists have just begun to understand how microbes are settling into their new island homes. Fish may be rafting to Hawaii on plastic debris.